At Schmidt Construction, we approach construction as collaboration between client, designer, consultants and contractor. We work hard at the details of building - budgets, schedule and estimates, as well as managing our client’s risk. Our team of builders and project managers have the experience and dedication to execute both large and small-scale projects, while ensuring the utmost in quality service to our clients. We are passionate about architecture, and thrive on the challenges of turning design ideas into places where people live and work. We have extensive hillside construction experience and the equipment to do elaborate foundation systems, retaining systems and caissons. We also have specialized in exposed, distressed beam work, and other custom finishes, such as rock work, Venetian finishes, natural grotto pools, outside living areas, & cabanas. A small, well-managed, well-resourced construction company. We are often hired by other contractors to manage the construction of their more difficult projects. We only take on the work that we can handle, and it all is managed directly by Bart Millar, the owner. He has both a master’s degree in architecture, and 25 years of construction experience. 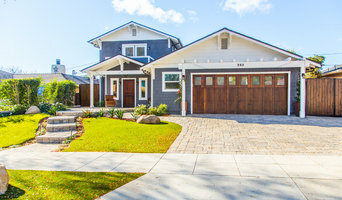 Barton Construction Inc in Santa Barbara is a licensed, full service construction company experienced in all aspects of building including new home, remodels, room additions and kitchen and bath remodeling & commercial work. Certified DIRTT installer. Designers by trade and family run, much of our work can be found in the hills along California's Central Coast. We specialize in custom cabinetry and case work, which we produce in our 7000 sf shop located in Lompoc, CA. We have 15 full time, seasoned professional carpenters on staff and are capable of handling projects of any scale. 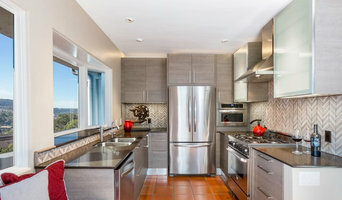 Nelson Construction LLC has been a trusted general contractor in the Santa Barbara, CA area for almost 20 years. We offer a full range of services including new home construction, remodeling and any other custom home construction projects you may have. Spieler Construction is family owned, award-winning, and nationally recognized. Our mission is multifaceted -- we aim to build high quality, high performance homes and spaces that meld the dreams of our clients with reality, to improve our local communities and our global environment, and to leave our clients with a memorable building experience. We take great pride in creating healthier, safer, more energy efficient spaces that inspire and we do so by hiring the best craftsmen and women, and utilizing the best quality materials to accomplish the job. Peter Spieler began working on professional projects with his father, Hans, sometime around his twelfth birthday and, after studying Construction Management at CalPoly San Luis Obispo, he took the company over in 1987. His career in construction spans over thirty five years now, with heavy involvement in both the technical and management sides of the business. Under his leadership, Spieler Construction has completed and managed a multitude of projects, some of which have been featured in Architectural Digest and Custom Builder Magazine. Peter Spieler received his Bachelor of Science in Construction Management at California Polytechnic State University, San Luis Obispo in 1985. He became a licensed general contractor in the state of California that same year. He is a current member, and a past board member, of the Santa Barbara Contractors Association, and he is regularly called upon as an expert witness in challenging legal cases. Jed Hirsch, General Building Contractor, Inc.
Jed Hirsch, General Building Contractor, Inc., specializes in building, remodeling, accenting and perfecting fine homes for an array of clientele that demand only the finest in craftsmanship, materials and service. We specialize in the Santa Barbara community and are proud that our stellar reputation drives our business growth. We thoroughly enjoy and embrace the challenge of working within a productive, friendly, and conscientious process that is both manageable and relatively stress-free. This is achieved via the involvement of all key constituents -- owner, architect, sub contractors and Jed Hirsch General Building Contractor, Inc.-- throughout the project from concept to execution. Constant communication is a cornerstone of our business. The end result? A successful product that meets our exceedingly high standards. With over 19 years experience of managing high-end new construction, remodels and commercial projects, we've learned to manage and control the tasks at hand. Before the first nail is hammered, we lay the most important foundation of any job -- production schedule. This, combined with a relentless attention to detail and continuous checks-and-balances, drives efficiency and a well-organized production schedule. We are proud of our team of sub-contractors and employees (all of which we consider family). These master craftsmen and dedicated builders have been carefully selected and hired based on their reputation, high standards and "can-do" attitude. They rank among the best in Santa Barbara , Montecito, and beyond and each take tremendous pride in their work. Since 1971, our passion for quality construction and craftsmanship has provided our clients with custom homes built with integrity. GORDOBE Homes is a general contractor for custom home development , restoration of significant architecture, renovation of homes that need to be revitalized and remodels to fit the discerning needs of each customer. From individual bathroom renovations, new kitchen cabinet installations and large home construction, we provide the highest quality product and service in Montecito, Santa Barbara County and Ventura County. Gordon Gibbons, the principal of the company, has been hands-on in the industry for 47 years and continues to be an integral part of each project by paying attention to every detail from inception to completion. Our mission is to bring to reality our clients’ construction dreams, by providing the very highest quality personal services and construction possible. Our strategy is based upon total, no-compromise client satisfaction and we continually strive to offer creative and collaborative solutions to meet our clients’ needs. From the smallest to the largest project, we work towards one goal, an end product that our client and we can be proud of. Above all we value our long-term client relations. Caldwell Construction is a Santa Barbara based full service general contractor that integrates beautiful design with precise execution. We combine construction solutions, creative thinking, and meticulous design at every stage of a project so upon completion, we deliver your vision. James Johnson Construction, Inc. (JJC), is a Custom Home Builder and Remodeler in Santa Barbara, California. Quality, Integrity and Dependability are the pillars of our business. Our team of skilled craftsmen are dedicated to providing outstanding service and exceptional carpentry. Our building team is made up of committed trade partners dedicated to working together to achieving the details that are important to our clients. We place great value on understanding our client's needs, and surpassing expectations with exceptional craftsmanship. Our advanced building practices and materials add to the longevity of our work. Keeping clients informed throughout the entire project is a priority for James Johnson Construction, Inc. from the planning stages to the finish phase. Whether it is a custom home, a kitchen remodel or home repair, our entire team is passionate about being the best at what we do. General, or construction contractors, are often known as project managers. They oversee the entire remodeling or new home construction project and facilitate all day-to-day tasks that move it toward completion. A Mission Canyon general building contractor will work with your architect to review plan as you build a house and ensure everything is in place before work is started as well as arrange for permits and necessary inspections. While good local home improvement contractors in Mission Canyon will have the skills to handle certain tasks onsite, such as carpentry, he or she is also responsible for hiring subcontractors for the majority of jobs, such as electrical work, painting or plumbing. In addition, the general contractor should be on-site regularly to inspect the progress and resolve issues. Here are some related professionals and vendors to complement the work of general contractors: Architects & Building Designers, Interior Designers & Decorators, Landscape Architects & Landscape Designers, Kitchen & Bath Designers, Specialty Contractors. Home remodeling contractors are a must for successful completion of a renovation. Because of this, it's essential that you do your homework before deciding on the right general contractor in Mission Canyon as you remodel or build a house. Inspect bids carefully. Was it ready when the contractor promised it? Was the bid for building a home unusually high or low? Each of these things can be very telling: A late bid may reflect timing standards, and an off-the-mark bid could be code for a pricey premium or a deliberate underbid to score the remodeling job. You should call references, carefully read reviews and visit completed projects in Mission Canyon, CA to see if they’re what you expect for your job. Once you do secure your local Mission Canyon contractors, read the contract very carefully to be sure everyone is on the same page. Find a Mission Canyon contractor on Houzz. Narrow your search in the Professionals section of the website to Mission Canyon, CA home contractors. You can also search for photos in Mission Canyon, CA and contact the Mission Canyon general contractor who worked on the project.